The son of Imam Muhammad al-Baqir(رحمتہ اللہ علیہ), son of al-Imam Zain al-`Abidin(رحمتہ اللہ علیہ), son of al-Husayn(رحمتہ اللہ علیہ), son of `Ali bin Abi Talib(رحمتہ اللہ علیہ). His mother was the daughter of Hazrat al-Qassim(رحمتہ اللہ علیہ) , whose great grandfather was Hazrat Abu Bakr as-Siddiq (رحمتہ اللہ علیہ). He spent his life in worship and acts of piety for the sake of Allah. He rejected all positions of fame in favor of `uzla or isolation from the lower world. One of his contemporaries, `Umar ibn Abi-l-Muqdam(رحمتہ اللہ علیہ), said, "When I look at Ja`far bin Muhammad(رحمتہ اللہ علیہ) I see the lineage and the secret of the Prophet Muhammad (صلى الله عليه وسلم), united in him." He received from the Prophet two lines of inheritance: the secret of the Prophet(صلى الله عليه وسلم), through 'Ali(رحمتہ اللہ علیہ) and the secret of the Prophet(صلى الله عليه وسلم), through Abu Bakr(رحمتہ اللہ علیہ) . In him the two lineages met and for that reason he was called "The Inheritor of the Prophetic Station (Maqam an-Nubuwwa) and the Inheritor of the Truthful Station (Maqam as-Siddiqiyya)." In him was reflected the light of the knowledge of Truth and Reality. That light shone forth and that knowledge was spread widely through him during his lifetime. He was a very exalted and pious personality. His inner and outer appearance exuded brightness and radiance. He addressed the poor and the downtrodden with great love. Once he called all his servants and said, “Let us give our hands in the hands of one another and promise that whichever one of us first receives salvation on the day of Qiyaamah, he will intercede for the rest of us.” On hearing this, they said, “O Ibn Rasool SallAllahu Alaihi wa Sallam! For what reason do you need our intercession, when your beloved forefather Rasoolullah SallAllahu Alaihi wa Sallam will intercede for the entire creation?”. Hadrat Jaafar Radi Allahu Ta’ala Anhu spent a lot of his time spreading the word of Allah and His Rasool SallAllahu Alaihi wa Sallam. He always spoke against those who did not believe in Allah. An atheist from Egypt came to Hadrat Jaafar Saadiq Radi Allahu Ta’ala Anhu whilst he was in Makkah. Hadrat Jaafar Saadiq Radi Allahu Ta’ala Anhu asked his name and he said that his name was Abdul Malik and he was also known as Abdullah. On hearing this Hadrat said, “Malik, whose servant you are, is he from the Kingdom of the Skies or the Kingdom of the earth, the Lord that is the Lord of your son, is he the Lord of the skies or the Lord of the Earths?” The atheist could not answer this question. Hadrat then said, “Did you ever journey under the earth? Do you know what is beyond it?” He replied in the negative and said, “I think there is nothing beyond it.” Hadrat then said to him, “Thinking is not sufficient! However, have you ever flown into the skies and journeyed beyond the skies?” Again he replied in the negative. Hadrat said, “Did you ever travel the entire East and West and did you realise anything about the future from this?” Again he answered in the negative. Hadrat said, “I am amazed, that you are not aware of the earth and what is beneath it, and the sky and what is beyond it, and in this state of ignorance, you still have the arrogance to reject the existence of Allah. O Ignorant man! There is no argument for one who is naive about that which is a reality. The sun, the moon, the night and day, are all in a specific pattern. Verily they are within some divine control. If they were free, then they would move as they willed and would sometimes go to an appointed spot and not return. Why is it that the night does not take the place of day and the day does not take the place of night? Do you not ponder upon the reality of the skies and the earth? Why does the sky not come to the earth and why is it that the earth is not flattened by the sky? There is definitely ONE, who has all this in His Divine Control. It is He (Allah) who is All Powerful. It is He, who is our and their Lord.” When the atheist heard this, he immediately accepted Islam and had faith in the existence of Allah. 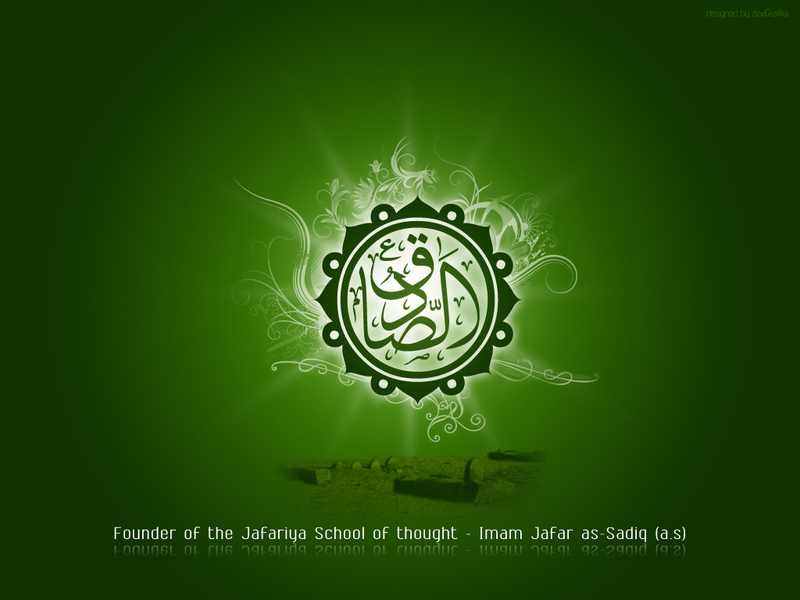 Hazrat Imam Ja`far as-Sadiq (رحمتہ اللہ علیہ) was famed for his depth and breadth of knowldege. 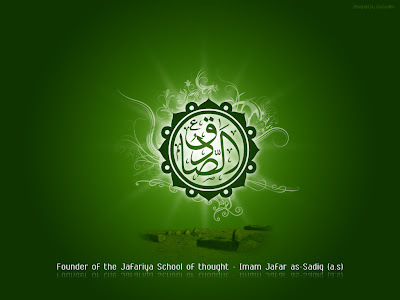 In addition to his knowledge of Islamic sciences, Hazrat Imam Ja`far as-Sadiq (رحمتہ اللہ علیہ) was well educated in natural sciences, mathematics, philosophy , astronomy , anatomy , chemistry (alchemy), and other subjects. The foremost Islamic alchemist Jabir bin Hayyan (known in Europe as Geber) was his most prominent student. Imam Jafar was known for his liberal views on learning, and was keen to debate with scholars of different faiths and of different beliefs. Imam Abu Hanifa is quoted by many souces as having said "My knowledge extends to only two years. 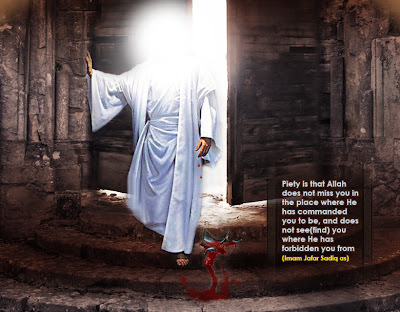 The two I spent with Imam Jafar Sadiq". Imam Jafar also attained a surpassing knowledge in astronomy and in the science of medicine. It is said that he wrote more than five hundred books on health care which were compiled and annotated by another great scholar and scientist of Islam, Jabir bin Hayyan. Hadrat Ba Yazeed Bustaami Radi Allahu Ta’ala Anhu used to distribute water in the Darbaar of Hadrat Imam Jaafar Radi Allahu Ta’ala Anhu. Hadrat placed his saintly sight on Hadrat Bayazeed Bustaami Radi Allahu Ta’ala Anhu once, and he became one of the greatest mystics of his time. He then served in the Court of Hadrat Jaafar Radi Allahu Ta’ala Anhu and became one of the greatest Awliyah. Hadrat Imam Jaafar Saadiq Radi Allahu Ta’ala Anhu is an example for Muslims in every way. His greatest Karaamat was his firmness on the Shariat. His every step was in accordance with the Sunnat of the Prophet SallAllahu Alaihi wa Sallam. A few of his Karaamats are being quoted below. Khalifa Mansoor once sent one of his ministers to summon Imam Jaafar Radi Allahu Ta’ala Anhu to his Court. He informed his servants that when Imam Jaafar arrived, they should wait for him (Mansoor) to remove his crown. The moment he did this, they should martyr Hadrat Imam Jaafar Radi Allahu Ta’ala Anhu. When the minister heard this, he was not pleased and thus tried to explain to Mansoor, how wrong it was to kill a pious person, who is also a Sayyid. The Khalifa did not take heed and had Hadrat Imam Jaafar Radi Allahu Ta’ala Anhu summoned. When Hadrat Imam Jaafar Radi Allahu Ta’ala Anhu arrived, the servants waited for their cue, so that they may martyr Imam Jaafar Radi Allahu Ta’ala Anhu. Instead, Mansoor woke up from his throne and rushed towards the Imam. He brought him towards his throne and allowed him to sit on it with great respect, whilst he sat on the ground in front of the great Imam. The servants and ministers were surprised to see this sudden change in plan. Mansoor then asked the Imam if he had any requests. Imam Jaafar Radi Allahu Ta’ala Anhu said,"In future you should not summon me to your court, as I wish to remain engrossed in Ibaadat." 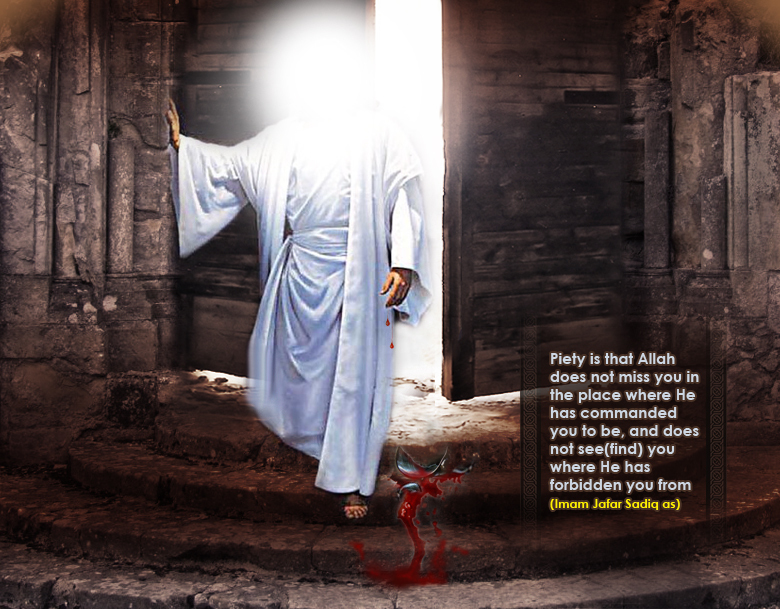 When he heard these words, his body began to tremble and he allowed the Imam to leave with respect. When the Imam left, the minister asked about the sudden change in plan and Mansoor said, "When Imam Jaafar Radi Allahu Ta’ala Anhu entered my court, I saw a huge python with him. The python had its one lip over my throne and one under my throne, and it spoke to me and said that if I tried to ever harm the Imam, then he would consume me with my throne, and that is why I behaved in the manner which I did." If one studies the books of history, then one will learn about his Khulafa, and how exalted each one of them was and how they had attained his blessings. Some of them are: 1. Hadrat Imam Moosa Kaazim Radi Allahu Ta’ala Anhu 2. 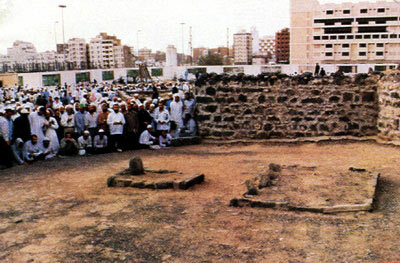 Hadrat Imam Azam Abu Hanifa Radi Allahu Ta’ala Anhu 3. Hadrat Sultaan Bayazeed Bustaami Radi Allahu Ta’ala Anhu. He would often make the following dua : "O Allah bless me with respect which is in your obedience and do not disgrace me due to my shortcomings. O Allah let me assist him through your grace and Mercy, whose sustenance you have decreased, for you have blessed me in abundance." There is not provision greater than piety. There is nothing better than silence, and there is no enemy more dangerous than ones ignorance and there is no disease worse than lies. He who has attained the closeness to Allah divorces himself from everything in the world. There is no Ibaadat without repentance, since Allah has caused repentance to be above Ibaadat. He who sits in the companionship of all types of people will not be safe. One who walks on the wrong path will always arouse suspicion. The perfection of intellect is in three (things): Humbleness for Allah, Good certainty, and silence except for good. Ignorance is in three (things): Arrogance, the intensity of dispute, and the ignorance about Allah. Stay away from five kinds of people: 1. A liar, as he will also betray you, 2. A witless person, as he will try to benefit you, but will always cause you harm, 3. A miser, for he will cause you intense loss in order to gain even the slightest benefit, 4. A coward who will leave you in distress during a difficult situation, 5. A man who is involved in illicit dealings, for he will sell you for one morsel and will still be hopeful of even less than that. Dishonest and untruthful people never find favor while jealous people never find content.Rude and vulgar people never find acceptance and brotherhood in leadership or amongst citizens. Whosoever holds affection towards the creator then he is horribly frightened of the creation. For the sake of the creator save yourself so that you may become a true worshipper (‘Aabid) and that which fate had decreed, has occurred then accepts that as well. Do not keep the company of an open sinful person since you would be overcome by sin and disobedience. Consult and seek advise from only those who are constantly obeying Allah SubHanuhu wa Ta’ala. The concealment of sins is the direct consequences of mans destruction. The eye of the heart opens with ibadat (prayers) and its access is infinite (La Makan – up in the ‘Arsh and beyond) and nothing in the entire World remains a secret to him. Man has also such power that he can gaze into the future and it only awakens when the 5 other senses are asleep and the mind is free from observations. Changing perceptions in this World. Somewhere clouds are forming or pearls. At others tears are changing the rays into darkness while still darkness is changing into light. A man has freedom of deeds and actions but these are also restricted because according to his comprehension he may be suspicious or doubtful of its might or force. Too much credence and ecliance is destructful and excessive criticisms unfortunate. Holding the power of revenge yet drinking up ones anger is an excellent form of Jihad. Strokes of misfortune or temptation are a rank, therefore the specific of truth are involved with it. Nafs (desires) are in direct conflict with Allah SubHanuhu wa Ta’ala therefore the best opposition to you nafs is becoming friends with Allah SubHanuhu wa Ta’ala. Jihad with ones wealth is better than Jihad with a sword. Food is the sustenance of the body while contentment comforts the soul. Fortunate is he whose heart becomes knowledgeable, whose body becomes patient and he is content with what he has present. Respect the young for they have lesser sins to their name because of their age in comparison to you. Revelation is not made for destruction but as an examination. Kindness or favors is incomplete without these 3 things – If you regard it as minor it becomes great – or you keep it hidden or concealed this it becomes whole and sufficient or by doing it quickly one finds pleasure in it. To complain is to stop being patient. The person who keeps the company of all types of people is not safe. The person who traverses upon the wrong path is accused and suspicion descends upon him. The person who cannot control his tongue becomes disgraced. A criminal and a remorseful sinner become submissive. Flatterers are the origin of pride and arrogance. Someone once asked who is better, a patient dervish or a grateful wealthy person? He said: The patient dervish because the heart of the rich is stuck in his pocket while the heart of the dervish is stuck on Allah SubHanuhu wa Ta’ala. Prayers without repentance are not appropriate for Allah SubHanuhu wa Ta’ala has made repentance the preamble upon prayers. Besides the fervor of Sufism there is no other road to follow the Qur’an and Sunnah. The poverty of the ‘Ulema is by choice while that of the ignorant is forced or uncontrolled. A mans fortunes are also in his enemy being clever. A boastful worshipper is a sinner and a sinner is he who finds every possible excuse not to worship. It is happiness for him who, though he sees a pleasurable thing yet he does not desire it with his heart. Our religion is completely respected. That person who does not consider this will be very disappointed. A very great Zahid (One who remembers Allah SubHanuhu wa Ta’ala excessively) is he who withdraws from the people. Although there is excellence in congregation there is safety in seclusion. Complete satisfaction of the stomach and starving are both hindrances of worship. To openly display your animosity is better than to hypocritically agree. In difficult times the search for rest and peace enhances that difficulty.